Coaching helps leaders gain more emotional intelligence, enabling them to have greater empathy and self-awareness. Executive coaching can have a profound effect on leaders and the teams they lead. With external support, executives who participate in coaching become more aware of their impact on others, learn to self-identify problems and design solutions, and develop skills to transform how effective they are in the workplace. Executive coaching is usually done 1:1 with a trained leadership coach. Through intensive inquiry, the coach helps the executive realize possible solutions, work on areas of improvement, and gain perspective on issues, especially interactions with colleagues and employees they supervise. The executive identifies ways to advance which evolve over time, and the coach uses various techniques to help the leader pursue new approaches. Here are five ways you can benefit from executive coaching and leadership development. Emotional intelligence is the ability to recognize your own emotions, what those emotions are telling you, and how the emotions and your reaction to them affect others around you. Real emotional intelligence leads to an understanding both of others’ emotions and the ways in which you can build deeper interpersonal relationships with others by acknowledging those emotions. Self-awareness is where growth happens. Coaching helps you build awareness of your response to situations and the impact of that response on you and those working under your leadership. Executive coaches help you identify priorities, understand where you are spending time, and assess where your time should be spent. Similarly, they can help you pinpoint resource allocations and evaluate whether those distributions are properly aligned with the needs of the organization. Coaching helps you understand reflexive and active listening, ensuring that you focus on what others are saying. Coaches use reflexive listening themselves to help you articulate your positions, philosophies, beliefs, and visions and become more effective when you communicate these concepts to others. Multiple studies show a profound return on investment in leadership coaching programs. 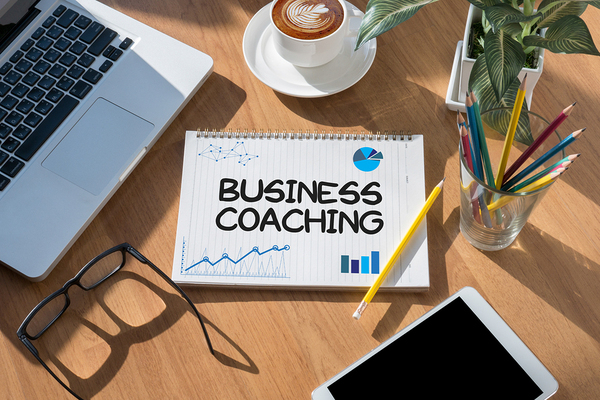 An executive coach may also provide you with an external perspective on the issues you face, the interpersonal dynamics, and the skills you need to hone. The coach provides invaluable new insights that help you reassess and gain new perspectives. At The Lindenberger Group, we help companies empower executives. As one of the top HR consulting firms serving clients in New Jersey, New York, Philadelphia and nationwide, we understand the complexities of human dynamics and the need for effective leadership. We specialize in developing executive coaching programs that help high performers gain self-awareness and provide a safe space to discuss issues that cannot be discussed with colleagues and bosses. Our coaching programs give leaders the tools they need to become more productive and energized at work. Contact us to learn more about our coaching programs and other HR services. I like that you talked about how coaching and leadership development can help you to understand reflexive and active listening that can help you to effectively communicate with others. My daughter is interested to become a leader of their organization in school. It’s important for her to be able to know the most effective way of becoming a leader. Since she struggles at time in properly communicating with other people, it will make sense for her enroll herself in different leadership development programs that can help her to be articulate. I will make sure to share your blog with her so she can consider all your tips. Thanks for your comment and best of luck to your daughter. Leading organizations and enterprises are now progressively speculating in executive coaching services for the grounding of their members of the workforce as well as their appointed pathfinders. But one of the most common questions that may come to our mind is- are these training sessions advantageous? Can they instill the governorship traits in the workers? The Most obvious answer is ‘Yes’. In fact, if you go through the research report, then you can find so many instances where the corporation has hiked their production rate after the incorporation of leadership development program and executive coaching session in their quotidian regimen. If you don’t invest in these consulting services, then I can say that you will miss the opportunity to stay in the track of the complex corporate competition. It was nice when you said that by hiring an executive coach, you’ll get help in determining how you should spend your time and what your priorities must be. My husband and I wanted to establish a business in the future. We want to make sure that we’d become wise business people who know how to balance their time to ensure that our business will succeed in all areas. Thanks for sharing this. I like the idea of using a leadership training and coach to help you manage time better! It would be so nice to have someone around to help me know how to identify priorities and where my time should be spent like you said. I’ve been thinking about hiring a corporate leadership training company to help me learn how to be a better leader so that I could one day be a manager. Hopefully they would teach me time management skills because managers need to know how to work on top priorities first. My workplace is considering getting a corporate leadership training service for the employees, and I had no idea that something like that could help with emotional intelligence as well as general leadership qualities. However, it does make sense that learning more about understanding other’s emotions and relationship building would increase both emotional intelligence and emotional health, as you said. I think that my coworkers and I could really benefit from something like that, especially because of a lot of toxic teasing behavior that has been spreading around in our office, so I’m really excited to do a leadership training. My sister wants to start her own business, and I suggested she learn some leadership skill so she can be a successful owner. Your article had some great information about the benefits of leadership development, and I liked how you said that it can help someone learn to identify priorities, understand where you are spending time, and assess where your time should be spent. Thanks; I’ll share this with my sister so she can lead a successful future business. As an Executive and Leadership Coach for over ten years, the key interfaces to any leadership development program are: 1) having a plan with clear expectations and projected outcomes; 2) determining how the program will be applied through selection, application and reinforcement; 3) what the ROI will be in terms of the organizational, strategic and operations objectives; and 4) identifying an executive coach with related business and verified coaching experience. I like how you talked about the ways an executive coach could tell you thing with an outside perspective. I can see how that would be beneficial to know what skills you need to hone like you said because it could give you a perspective you haven’t heard before. I would like to learn how to be a better leader even though I’m not in any leadership position right now, so I think this would be beneficial for me. It would be good to see which skills I should work on so that I can become a leader someday! My sister is starting her own business, and I suggested she look into leadership training to help her take charge of the company. Your article had some great points about the benefits of coaching like this, and I liked how you said than an executive coach can provide an external perspective on issues, interpersonal dynamics, and the skills needed to hone. This perspective is valuable, and I’ll share this with my sister to help her consider executive training for her future business. It’s good that executive coaching gives a positive return on investment. I think it would be cool if my work team did something like that. I’ll bring up the idea in one of our meetings to see what people think about it. It’s interesting that coaches can help you figure out what you’re spending too much time on and what you should be focusing on more. My boss has been thinking about getting a business coach to help her handle her schedule so I’ve been doing research for her. Thank you for talking about the benefits of hiring someone to help you organize your time better to succeed more. It was good to know that having executive coaches can help you identify priorities for your work, and time to be spent for better assessment. I tell this to my boss, so he could plan for the team leaders of each department in his office to have them undergo executive coaching. This will help to boost the productivity of the whole management team. Thanks!